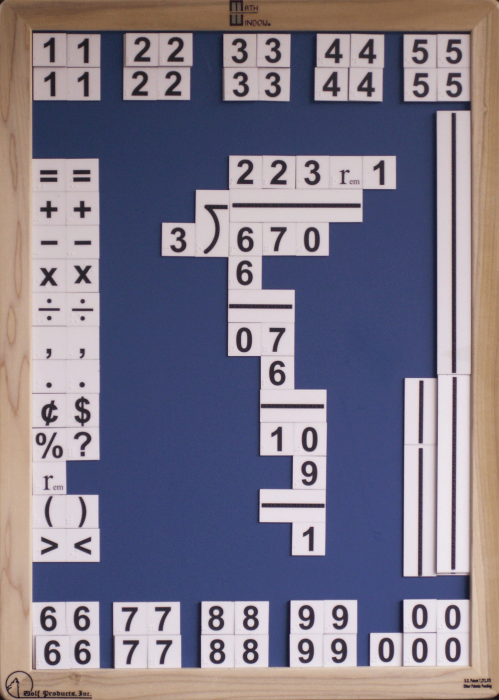 Our Math Window® Large Print Basic Math Kit provides the essentials for your student to complete problems in addition, subtraction, multiplication and division, as well as fractio0ns and decimals. 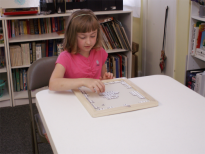 It is a fun way for low vision students to learn math concepts And don’t forget, each tile contains 75 point print and Braille (in the lower left corner)! 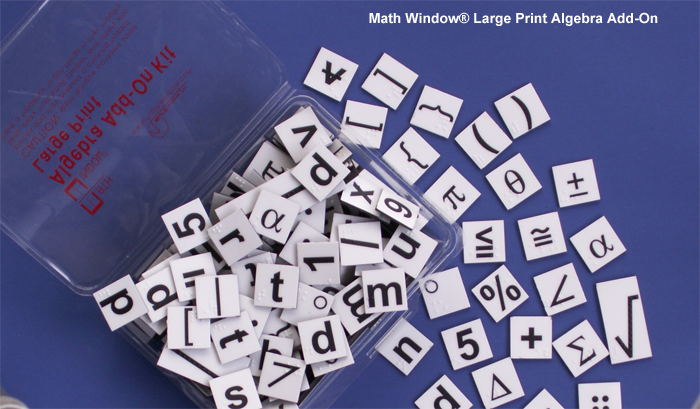 The Math Window Large Print Algebra Add-On kit compliments our Large Print Basic Math Kit. 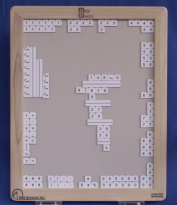 It contains letters of the alphabet for variable use and the higher math symbols required for algebraic computations. When added to our Large Print Basic kit, your student will have the tiles necessary to complete problems in Pre Algebra, Algebra I, and Algebra II. It is a must have for any student continuing in their mathematical studies!